Ho ho, everyone, Christmas is coming on! The time of twinkle lights and ugly sweaters. The time when your phone explodes from texts - advertisements and best wishes from your friends. The time you’ve been waiting for the entire year. 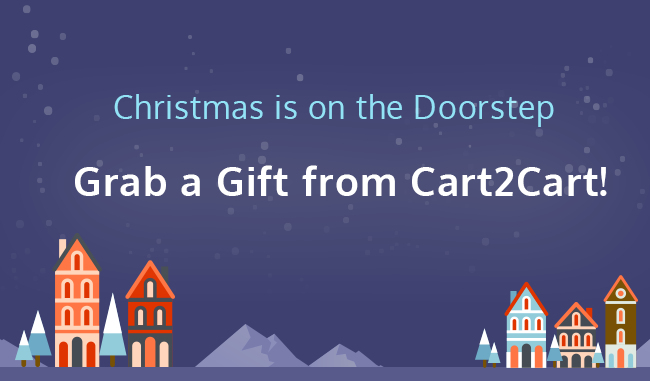 Cart2Cart team would like to congratulate you with the upcoming holiday, wish you luck, peace, prosperity and present a special Christmas gift. Refill your balance from December 17 to 28 and get up to 20% bonus to your account. The bonus we offer is 20%, but it will decrease gradually over time. *The bonus percent will change at 12:00:00 GMT +2. Please note, the bonus is added to your account automatically right after you add funds. You don’t have to apply discount code additionally. So, hurry up, the sooner you take action the more money you’ll get!